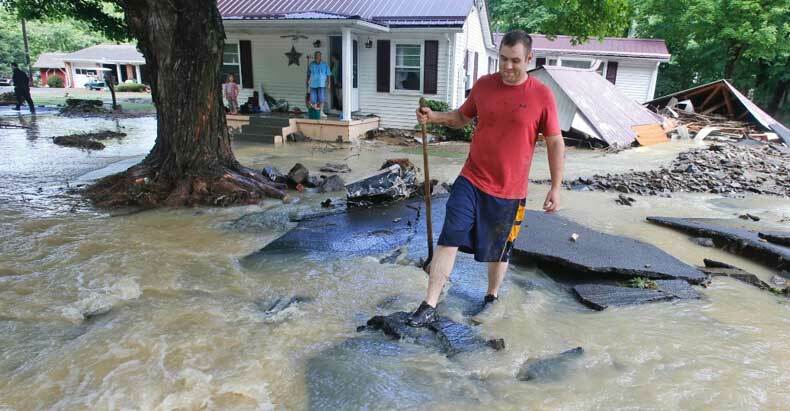 Residents in South Bend, Indiana, dealing with several feet of flooding following a record-decimating rainfall now also have to deal with costly and time-consuming government red tape in order to rebuild homes and businesses — making them hapless victims of both nature and the State. Before Hoosiers can pick up the pieces by reconstructing their property, the City of South Bend is forcing them to also pick up a building permit. Leave it to Big Government to exponentially worsen an already difficult and costly situation. On Monday, the South Bend area received “its highest rainfall total for a single calendar day since records began,” the Weather Channel reported, officially 7.69 inches of rain, which broke the previous record set in September 2008 by a full inch. When including rainfall that continued into Tuesday morning, that total climbed to 8.49 inches — and needless to say, the water inundated local storm drains and paralyzed any ability to alleviate resultant floods. “Many of the toughest days are actually in the days to come because it’s going to take a very long time for some of this water to go away,” Mayor Pete Buttigieg said. “In the days coming ahead frustration is going to set in. Traumatized residents trying to contend with expensive and horrific damage — one reported eight feet of water in his basement — now also have to cope with the burden of overbearing state bureaucracy, not to mention penalties for failing to comply. Although such an unprecedented rainfall would be expected to overflow city storm drains and sewers by its nature, one business blames the State for damage incurred. Chris David, manager of Around the Corner Auto Service, said construction work on a nearby highway bypass left the closest storm drain cordoned off by a fence in the shop’s backyard — which, when record-breaking rains began to fall, acted as a dam for debris, leaving water nowhere to go but inside. Total estimated damage to the auto service store has already climbed to a whopping $120,000. Should any reconstruction be necessary, of course, David would also be forced to obtain what amounts to the State’s permission slip — to repair damage the State haphazardly caused in the first place. But the Indiana Department of Transportation disagrees with David and his insurance company, placing blame for his woes solely on the rainfall, itself. Despite David’s description of the dam effect the fence caused during the torrential rainfall, Moats claims the storm drain would have overflowed regardless. Both fortunately and surprisingly, no injuries or deaths were reported as having resulted from the rains and subsequent flooding. Damage to properties is nevertheless understandably extensive — two homes collapsed after being inundated — forcing those who can and cannot afford to rebuild into a sudden scramble to file insurance claims and, of course, building permits in order to avoid the further expense of state-imposed fines. It would be difficult to justify additional red tape during the aftermath of tragedy — nevertheless, the government didn’t even pretend to be apologetic for its additional imposition on the beleaguered residents of South Bend.